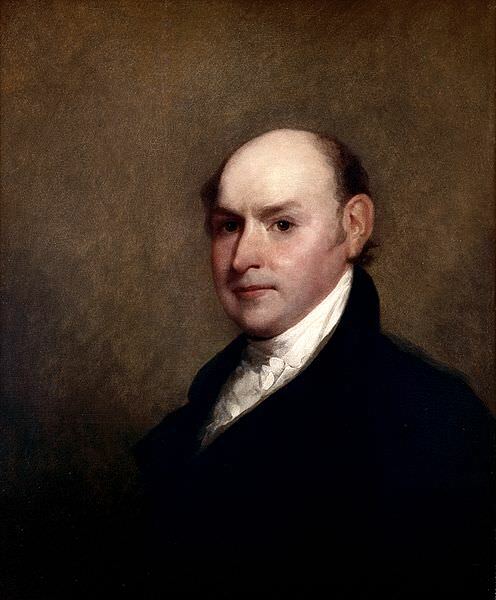 John Quincy Adams, sixth President of the United States, liked to measure things – the width of a river, the distance between two points – by counting his steps. “I have found, by experiments frequently repeated, that my ordinary pace is two feet six inches and eighty-eight one-hundredths of an inch, or about twenty-nine French inches, and that in my ordinary pace I walk one hundred and twenty steps to a minute.” (1) When Adams became Secretary of State in 1817, his fascination with measurements coincided with the desire of Congress to establish a uniform standard for weights and measures across the United States. After three-and-a-half years of obsessive work (which frustrated his wife, Louisa), John Quincy Adams produced his Report Upon Weights and Measures. He thought it would be his most important literary accomplishment. The importance of everyone in the country using the same system of weights and measures was recognized by the founders of the United States. 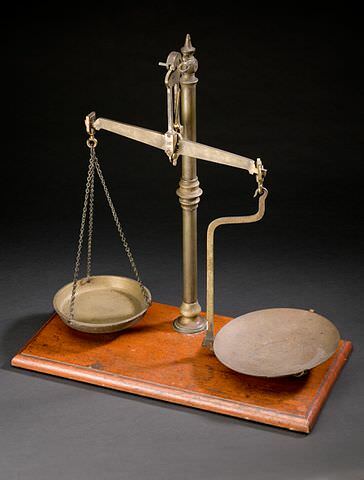 The Constitution gave Congress the power to “fix the Standard of Weights and Measures” (Article 1, Section 8, Clause 5). However, there was no agreement as to which weights and measures should become the national standard. Each of the original thirteen states was using its own weights and measures, which differed from those used by other states. No Congressman wanted to be blamed for changing his constituents’ customary way of measuring things. All of the early presidential messages to Congress included an appeal for legislation to establish a uniform system of weights and measures. In 1790, at the urging of George Washington, the House of Representatives asked Secretary of State Thomas Jefferson to draw up a plan. Jefferson put forward two options: one a refinement of the existing English system of weights and measures; the other a new decimal system based on the foot. Jefferson’s report was transmitted by the House to the Senate, where a select committee concluded that, since Britain and France were each considering national standards of measure which could become a universal standard, it was not desirable, “at present, to introduce any alteration in the measures and weights which are now used in the United States.” (2) In 1796, the House passed “An act directing certain experiments to be made to ascertain uniform standards of weights and measures for the United States,” but the bill was never taken up by the Senate. When John Quincy Adams took up his post as Secretary of State in the administration of President James Monroe in September 1817, he found the Senate’s instruction waiting for him. He embraced the task with enthusiasm. John Quincy Adams had been interested in the subject for many years. During his post as the US Minister to Russia (1809-1814), Adams began – as a hobby – an investigation of Russian weights and measures, as described in his diary entry of June 30, 1810. I wrote something this day but still gave an undue proportion of the time to my inquiries concerning weights, measures, and coins. My precise object is to ascertain those of Russia, with their relative proportions to those used in America. But I find it extremely difficult, and indeed, as yet have not succeeded in fixing accurately my ideas on the subject. I procured some time since a Russian nest of brass weights, from one pound to a quarter of a zolotnik, and a pair of scales. I have compared them with an apothecary’s scale and weights which we brought with the medicine-chest from America. By this comparison I found that the Russian pound was equal to 6312¾ grains [troy]. But all the smaller Russian weights were incorrect, some weighing more, and some less, than the proportion. The scales, too, are so coarsely made that they scarcely indicate any variation of less than a quarter zolotnik, which is the smallest of the weights they use among the silversmiths. My apothecary’s balance was much more accurate, and much more sensible to small weights. There are, however, differences of full half a grain in several of them. By 1812, Adams was comparing Russian and English weights, measures and coins to those of the metric system, which had been introduced in France in 1799. The Congressional resolution gave Adams the opportunity to write his work. The State Department inherited by John Quincy Adams was small, with no more than a dozen employees. Adams was responsible for consulting with the President, making departmental decisions, meeting with foreign dignitaries, writing instructions to American ministers abroad, drafting treaties, supervising the department’s day-to-day operations, running the patent office, meeting with Congressmen, responding to Congressional inquiries, recording Congressional laws and resolutions, and overseeing the census. With such a heavy workload, Adams had to undertake the weights and measures report in the little free time he had, which meant early in the morning and on vacations. As the summer of 1819 approached, Adams hoped he would “have leisure, or at least some control of my own time” to work on the report, but he met “with almost constant disappointment.” (10) In July, he finally found time to devote to the report, which meant being drawn into a rabbit hole. I was swallowed up in calculations and meditations upon coins, currency, and exchange, the only excuse for which that I can devise is the connection of the subject with weights and measures, upon which I am called to report to the Senate…. After further interruptions, in the summer of 1820 Adams set out to write his report. In the meantime, if Congress wanted to do something to establish greater uniformity of weights and measures within the United States, Adams recommended that it “declare what are the weights and measures to which the laws of the United States refer as the legal weights and measures of the Union,” and “procure positive standards of brass, copper, or such other materials as may be deemed advisable, of the yard, bushel, wine and beer gallons, troy and avoirdupois weights; to be deposited in such public office at the seat of government as may be thought most suitable.” (21) He also recommended giving exact duplicates of the metal standards to the governments of every state and territory. For the purposes of the law, it will be sufficient to declare that the English foot, being one-third part of the standard yard of 1601 in the exchequer of Great Britain, is the standard unit of the measures and weights of the United States; that an inch is a twelfth part of this foot; that thirty-two cubic feet of spring water, at the temperature of 56 degrees of Fahrenheit’s thermometer, constitute the ton weight of 2,000 pounds avoirdupois; that the gross hundred of avoirdupois weight consists of 112 pounds…; that the troy pound consists of 5,760 grains, 7,000 of which grains are of equal weight with the avoirdupois pound; that the bushel is a vessel of capacity of 2,150.42 cubic inches, the wine gallon a measure of 231, and the ale gallon a measure of 282 cubic inches. Congress took no action on the report. Three years later, Britain adopted the system of imperial units, abandoning the English units John Quincy Adams had championed in his Report Upon Weights and Measures. 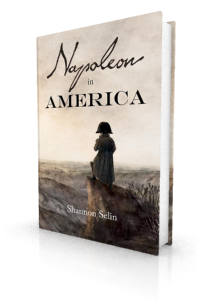 And, with the report out of the way, John Quincy Adams was free to concentrate fictionally on his next challenge: dealing with Napoleon’s arrival in the United States after his escape from St. Helena. Charles Francis Adams, ed., Memoirs of John Quincy Adams, Vol. II (Philadelphia, 1873), p. 353. Ralph W. Smith, The Federal Basis for Weights and Measures, National Bureau of Standards Circular 593 (Washington, 1958), p. 5. John Quincy Adams, Report upon Weights and Measures (Washington, 1821), p. 5. Charles Francis Adams, ed., Memoirs of John Quincy Adams, Vol. IV (Philadelphia, 1875), p. 123. Charles Francis Adams, ed., Memoirs of John Quincy Adams, Vol. V (Philadelphia, 1875), pp. 402-403. “From Louisa Catherine Johnson Adams to John Adams, 18 August 1820,” Founders Online, National Archives, last modified June 29, 2017, http://founders.archives.gov/documents/Adams/99-03-02-3828. John Quincy Adams, Report upon Weights and Measures (Washington, 1821), p. 125. Memoirs of John Quincy Adams, Vol. V, pp. 132-133. 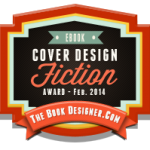 Margery M. Heffron, Louisa Catherine: The Other Mrs. Adams (New Haven, 2014), p. 320. Wonderful post, it goes to show that even mediocre presidents can do great things for the country. Just shows how stupid we humans are. We could have fundamental uniform laws worldwide, a second language everyone could speak (with sensible way of writing it), a world-wide political system so we don’t have to spend $1,000,000,000,000 on arms every year. By the way, every country in the world uses the metric system, except two: the United States of America and some small nation in the depths of Africa, whose name escapes me. If only the shade of N could come back to impose order on this planet! Humans are, for the most part, not rational creatures. I think Adams was onto something, though, when he wrote about the difficulty of changing traditional habits of measurement. Here in Canada, where we switched to the metric system in the 1970s (a process I well remember), we still see our groceries advertised in price per pound (though we pay per kilogram), set our ovens in degrees Fahrenheit, and measure our ingredients in cups, tablespoons and teaspoons. A fair number of us give our weight in pounds and our height in feet and inches, note how many miles per gallon our cars get on the highway (though we buy gas in litres and our roads are marked in kilometres), and talk about the number of acres someone farms, etc. In short, the practical — as opposed to official –system of weights and measures in Canada is (endearingly) inconsistent. Your father [is] more deeply immersed in business than ever and less capable of participating in any domestic enjoyments…his whole mind is so intent on weights and measures that you would suppose his very existence depended on this report.